SStep into the shoes of world icon Nelson Mandela at the Nelson Mandela Museum, which has two sites, one in Mthatha and the second in his hometown of Qunu in the Eastern Cape. I had the pleasure of exploring the Qunu site, which is also utilised as a Youth and Heritage Centre. The centre facilitates educational programmes for school children, hosts youth camps, teaches them about culture and encourages creativity through theatre, dance and crafts sessions. Located near to the remains of the hut where Nelson Rolihlahla Mandela was given his English name, Nelson, and began his school career, the museum is a must-visit attraction when in the Eastern Cape. 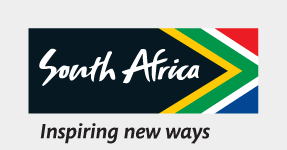 It offers a memorable cultural experience that gives one insight into the life of South Africa's most famous person. Guests can opt for a self-guided tour or a professionally guided tour. The museum caters for groups of various sizes, including school tours, and offers a heritage trail that follows Mandela’s footsteps. TThere are five tour options, from a half-day tour to an overnight hiking tour at Coffee Bay in the Eastern Cape Wild Coast. Tours are combinations of a visit to his primary school, a hike through the hills and village of Qunu, travelling to Bhunga Building in Mthatha, which is the other Museum site, a visit to Mvezo village and a tour of Fort Hare University. But the museum is not just a space documenting aspects of Mandela’s life – it has upmarket accommodation facilities including backpacker-style rooms, which house up to 60 persons, and six executive double-room units for families, couples and business travellers. Conference facilities are available, and cultural insights such as traditional dance and food are available by arrangement. When visiting, take a leisurely stroll through the various buildings and perhaps treat yourself to a couple of souvenirs, such as handmade shoes, printed materials, beads and traditional dresses. The entrance to one of the main halls at the museum is decorated with a beautiful mural of Mandela. Inside the museum, the information is presented on large printed canvases and a horseshoe table, which extends through most of the room. Browse the exhibition and read a chronological journey of Mandela's life, including his struggles and triumphs, the people who had an influential hand in his life, and those who played pivotal roles in ending apartheid. During the struggle to end apartheid, Mandela fought alongside many people who are also recognised at the museum. Take time to read the profiles of icons such as Dr James Moroka, Nolukhanya Luthuli, Walter Sisulu and many others, and find out more about each person’s role in the fight for freedom. After walking around the exhibition room and reading the hung profiles and the information on the horseshoe table, you can also set aside a moment to rest. Choose to sit on the floor or rest on the scattered oversized cushions, covered with printed excerpts of historic newspaper articles written about Mandela. The cushions make for interesting light reading. The are several halls at the museum premises. One of the halls is dedicated to Walter and Albertina Sisulu, colleagues and friends of Mandela, who also played pivotal roles in the fight for freedom. The exhibition chronicles their lives and tells of their influential contribution to the fight against apartheid. Behind the museum are rolling hills, covered in a blanket of green grass. It is here that the young Mandela used to play and pass time by sliding down a smooth granite rock face and playing traditional games such as Xhosa stick-fighting.